Have you ever wondered why your parents gave you your name? Have you every wondered to yourself “What does my name mean?“. If you have been curious about their choice of name for you then you have probably questioned the meaning behind the name as well. And what about the meaning of your surname as well? This post will point you in the right direction and help you answer these questions. Your parents may have given you a name that has been passed down through the generations of your family. Or, possibly it is just a name that they quite liked the sound of. There are many different reasons that we are given the names that we have. And sometimes the origins behind these can tell an interesting anecdote. An excellent book that you can buy is The Name Book by Dorothy Astoria which is available as either a paperback or in the Kindle format. This book is packed with over 10,000 names with their meanings, origins and also spiritual significance. It covers classic, contemporary and biblical names ranging from Aaron to Zoe. A verse of Scripture has also been added for each name, which is a special way to bless your baby. If you have not decided on a name for your baby then there is also handy hints to help you. Although this book is written for new parents who are deciding on what name to call their baby it is still a good read for anyone who is interested in the meaning of their name or anyone’s name for that matter. This 320 page book has been given favorable reviews, even being voted #1 best seller by Amazon in the Christian Bible Quotations category. So, before we actually look at the meanings of both first name and surnames, let us first look at the origins of names and how they came about. I have written a helpful article about the origins of surnames, which you may find interesting. Within that article I explored 4 ways that surnames were acquired, which are this being patronymic; occupational; a nickname or a descriptive term; or lastly locational. Please take a look at this, (in what I believe to be an interesting), article. The study of names actually does have a name, and this is called Anthroponymy. Anthroponym is the names of human beings, and anthroponymy is the study of these names. There are eight different subdivisions within this field. Given Names – A person’s first and middle name(s). Surnames – The last name of a person. Clan Names – A name given to a group. Matronyms – A name that has been inherited from the mother. Patronyms – A name that has been inherited from the father. Teknonyms – This is the practice of referring to parents by their children’s names. Nickames – This is a name that someone is referred to instead of their given name. Ethnonyms – These include both Autonyms/Eudonyms, and also Exonyms. These are names given to ethnic groups. I have somewhat digressed within this section. When I refer to origins of names I am actually referring to how you and your ancestors got your name. And not how the actual name came to be. That would be another post in itself. What about named patterns in your tree? Another interesting article in which I have recently wrote discussed the names and the named patterns that are found within your family tree. There are a number of conventions which may have been used in order to get your name. For example, you may have acquired your first name from your father. Your younger brother then may have acquired his name from your maternal grandfather. It must be stressed though that this naming pattern must only be used as a guide. But it is pretty useful for you if you want to breakdown brick walls in your research. Other sources of your ancestors names could have been friends of the family, newspapers or maybe they just liked the sound of it. Inspiration From A Music Hall Performer! One of my ancestors siblings was named after a music hall performer. Although there is a little discrepancy as to who the performer actually was. His mother stated that whoever is on top of the bill tonight then he will be named after. This was an interesting anecdote that has been passed down to my generation. It maybe a little quirky but it’s a little different and adds to my family history. Now back to the point of this post. The meaning of your name. Not only may you be curious to the meaning of your name, but maybe your ancestors names as well. Especially if they are quite unusual. If you do find an unusual name in your family tree then finding the origin of the name can unearth even more questions. For example, I have found a number of unusual Hebrew names in my family tree that I was not expecting. This gave me grounds for even more research. Your name may mean beautiful, or brave, or strong. Or it could mean flower, hope or miracle. Here are some of the websites that I have visited and highly recommend that you visit. Even though it is designed to help you chose the name of your baby, it is still useful for finding the meaning behind names in your family. This is a great resource as it lists African, Asian, European, as well as mythological, ancient and medieval, and also biblical names. 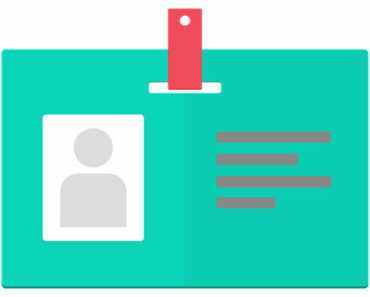 You can view a comprehensive list of male or female names, list names alphabetically, or plain simply do a search for your name. This is an impressive encyclopaedia of names that you can research. It will help you with the origin and meaning of your name. And as well as that it can show you the distribution around the globe of your name. 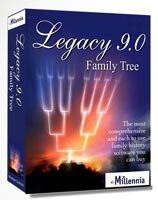 It is a great tool for genealogy tracking. Besides learning about the origin and meaning of your first name you may also be interested in your last name too. These 2 sites are great for you to discover the meaning and origin of your surname. A somewhat surprising tool within this famous genealogy aid is the ability to check both the meaning and origin of your surname. You can also see the distribution of your name across the United States or Britain. A somewhat interesting function within this tool is the listing of popular occupations against your surname. This has been my go to place for finding out both the origin and meanings of the many family names in my tree. Add what you find to your book! You could do what I did and add these surname definitions to your family history book. Each chapter within my book concentrated on a single branch of my family. And at the beginning of each chapter I would put these definitions in. You don’t have to do this, but take it from me it really brings your family history to life. It also shows to your readers, (your family), that you have gone the extra mile. For me finding out both the origins and meanings of both given names and surnames have been rewarding. Originally when I first started to research my ancestry I was merely interested in names and dates. I wanted to find out as much as I could about my family. And this led me to actually look at the names within my tree. Look further into your family tree! Most people when researching their genealogy don’t even look at this aspect. They are more interested in names and dates, (like I was), and also the stories attached to their heritage as well. They don’t look further and see behind the name. Who knows it could provide you with even more stories to add to your family history. If you are interested in your name then you may also be curious as to whether your family has a coat of arms. Please check out my Find My Family Coat of Arms post for further information. I hope you enjoyed this post that answers your question “What does my name mean?“. If you have any questions or comments then please leave a comment below. Thanks for the detailed information and all the links to research sites – I just visited the Surname Site and an hour disappeared before I knew it! The link to the Behind the Name site doesn’t seem to be working so I’ll try that one again later. There’s some great information in the surname site – just found out that some of our family names have French and Irish origin so that’s very exciting and adds a whole new level of interest to some of the distant names in the family tree. Thanks for teaching me something this morning! It can be quite compelling stuff. I ,u self have spent many an hour looking up surnames within my family tree. Shame that that Behind the Name site isn’t working properly for you a time the moment. Check it out again when you can. That site is quite interesting too. I’m sure you’ll get lost in time looking at it. There are some mysteries in my husband’s family history and he had never thought of looking at the meaning of the surname as a source of tracing family ancestors. This has opened up a series of avenues to more research. Most of his family first names are “religious” names of saints etc. the problem with that is that it can mean the first name and surname were very common. By linking the origins to the country it has been possible to narrow down the search considerably. He is not there yet but much further than before. The internet has opened up the possibilities for so much more research and your site has helped with links and ideas for more research. Sometimes, it is difficult to know where to start. This is a well organised and well presented site with information to help those doing serious research and the “just a bit curious” people alike. Just looking at our ancestors names can give you clues whenever we come to a brick wall in our research. Sometimes names are an overlooked aspect of genealogy. So it is important to use anything we have to discover our ancestry. Very nice well written site and super interesting topic. You really awaken my curiosity and I started to search for ancestors. I know I have a big family somewhere. One day I would like to create my family tree. You give good tips to start with, so thanks for that. I think it is important to know our roots, it would probably help us to understand our parents, our culture, where some of our traditions came from. We probably would discover how we are all related, one big family 🙂 . It would be nice to learn this hobby in school. Actually I remember for one class I had to trace my family tree. Back then though I didn’t get very far, probably only to a few great grandparents. If I handed in what I know now I’m sure my teacher would be impressed. If either of my daughters have the same homework to do at least I will be able to help them with my side and it sure would impress their teacher. Thanks also for sharing how you got your name. It’s great to what only know about your ancestor’s name studies but also how we got our names too. Knowing what they mean is one thing but knowing how we got them makes it even more special. Actually my name is from a friend of my family and I actually knew it for a very long time. But I never researched much meaning or anything about it. 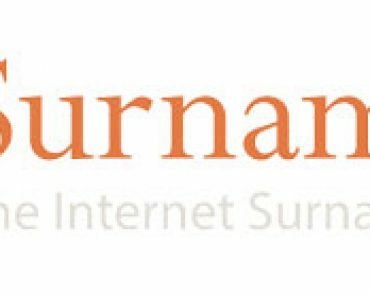 I think Internet Surname Database can find something useful since it has more 49.000 in its database and it is quite impressive. I am glad that you know where your name came from Furkan. For me it’s always nice to learn little things like this. It is about us after all. The Surname Database has been a great tool for me while I was writing my family history book. I found it both fun and interesting to add these surname origins and meanings to my book. It really did enlighten me. Great blog and website. I’ve never really thought much about why I was given my name or the meaning behind my family name. It’s an interesting idea when you start thinking about it. Someday I do want to start researching my family history. My brother did some research a few years back and it’s very interesting. Thanks for the great resources in the article. It is interesting what you discover when you really start to dig deep into your family history. Just looking at the many names in your family tree can bring up some exciting questions. 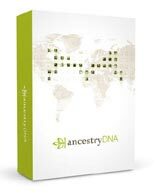 All of this will bring your story to life when you write your ancestry like I did. This is a very interesting blog, I have a very unique last name so I’m glad that I have the opportunity to learn about it. I just didn’t know that there were these resources out there that can help me find out about my name. You have laid it out very well. I will also check out your surname post as well. Thank you for sharing. Thank you Zach for your kind comments. I have tried to lay out all my posts in a simple and clear way so that people can find the information that they are looking for. Please feel free to check out the rest of the site. I am sure that you will find other interesting topics.